Trigger warning: Article describes extreme habits of eating disorders. 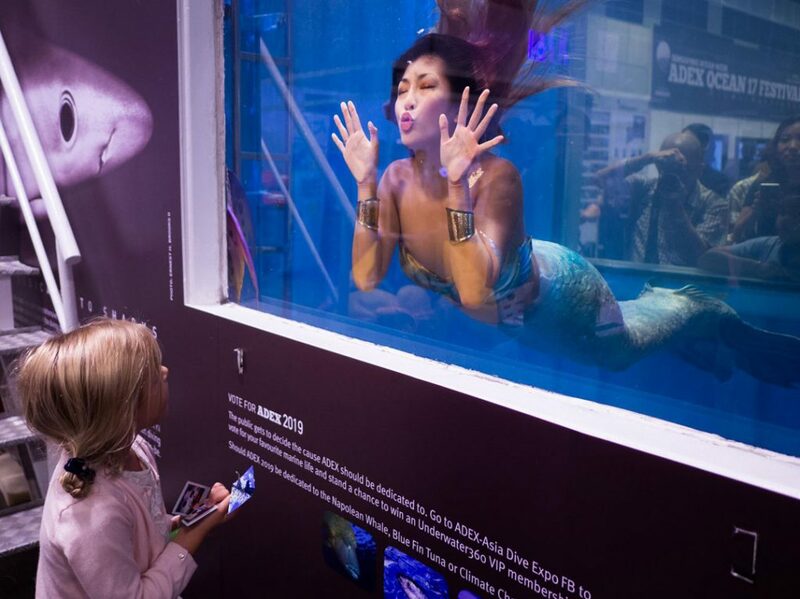 Once upon a time, Singapore’s first mermaid was a teenage girl struggling with an eating disorder. Syrena, who exudes shiny, happy, Disney princess vibes, is sharing this in an interview for the first time. Considering she’s not exactly unknown, her candid admission comes as a surprise. 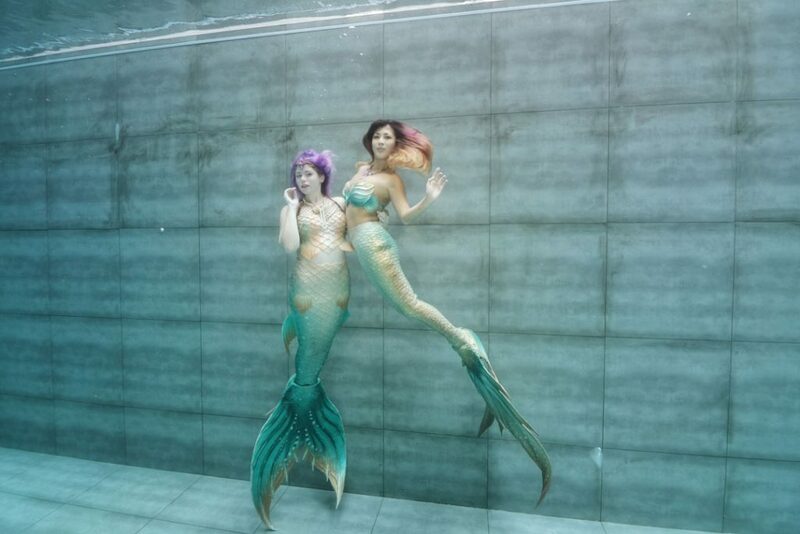 Since making a splash after embarking on her unique profession 4 years ago, the professional mermaid has received ample media publicity. In every photo and video, she is the epitome of self-confidence, gamely posing in bikini and tail. But Syrena hasn’t always had the best relationship with her body. The radiance Syrena exudes today wasn't always easy to come by. “I was never the tall, lanky girl. Comments uttered in innocence or jest twisted my perception of myself. I became part of an extremely unhealthy online community that enabled all sorts of restrictive and extreme eating (or not eating) habits,” she opens up. Born with “the kind of body that won’t ever become extremely thin” meant she would rarely see the results she wanted. Everyday, she would severely limit her calories, religiously jotting down each meal intake and becoming unduly upset whenever she broke her ‘plan’. At her worst, she even had second thoughts about taking cough syrup when she was ill, because she didn’t know how many calories were in it. Resplendent colours are a common sight in Syrena's photoshoots. These days, Syrena has made peace with her body. But not after a long, uphill battle. After her parents sent her to a counsellor, she was forced to adopt normal eating habits, which set her on the path to eventual recovery. 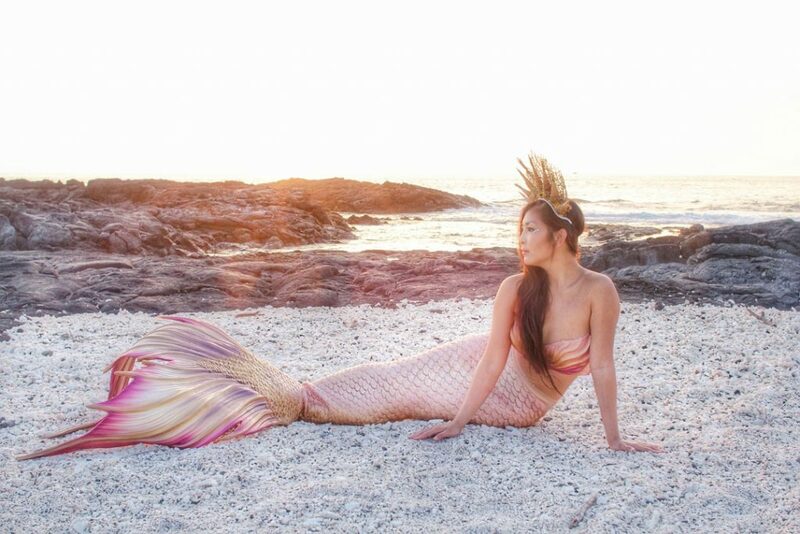 Away from the limelight and the pool, Syrena the mermaid is Cara Neo the entrepreneur. While I don’t address her as such throughout our week-long communication, it’s only on hindsight that I realise the 25-year old never alludes to her real name either. 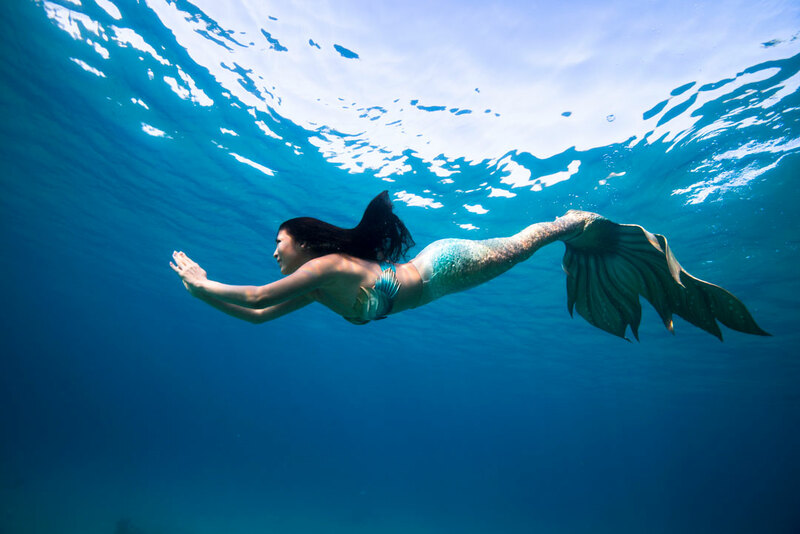 If it seems that beneath the sparkly mermaid exterior is still the same girl keen on maintaining an ideal of who she truly hopes to be, this is only normal. Most of us choose to present our best selves publicly anyway – Syrena is simply upfront about it. 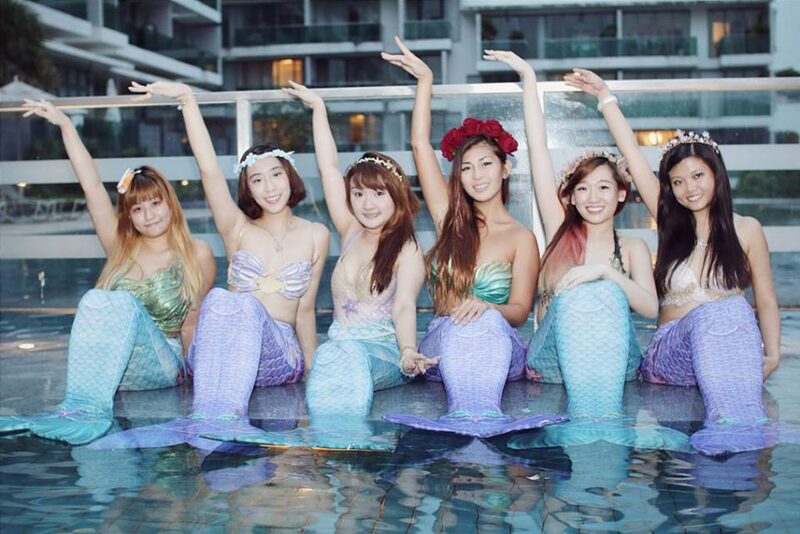 Syrena (third from right) with her mermaid pod. That said, this is far from pretend play. 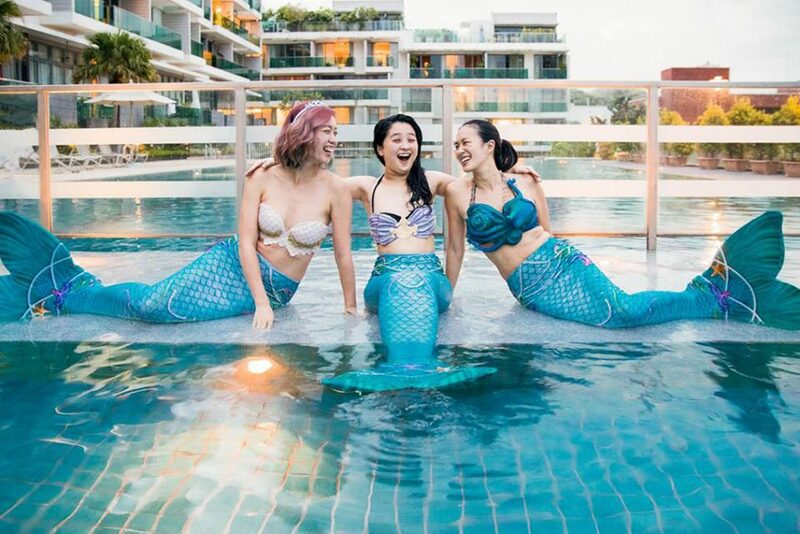 After everything she’s been through, Syrena firmly believes in using her business, the Singapore Mermaid School, and by extension, her mermaid persona, to champion self-love. Interestingly, this enigmatic description evokes the mermaid of the same name from Pirates of the Caribbean 4. In PotC, Syrena is known for ‘swimming against the tide’, and is a fighter in her own right – a quality also present in the Syrena I speak to. Besides teaching mermaid school, Syrena also books gigs as a performer at parties. Recognising strength in vulnerability is a central theme in what she teaches. Syrena acknowledges the inherent courage in the girls and women who attend her classes. Like her, some have come from a similarly dark place. Hearing Syrena’s story, it feels irresponsible to suggest that having been through hard times is precisely what gives her the clout to talk about self-love without sounding preachy or self-indulgent. Yet knowing she has overcome personal demons makes her mermaid school relevant and important in a way that transcends novelty schtick or self-care mambo jambo. All she wants are for her students to internalise what she has learnt the hard way – that there exists an infinite spectrum of beauty. Her mermaid pod is close knit and like family. The mermaid pod, which is what they call their group, also has an unofficial rule about the kind of language they use to describe themselves. If the goal is self-confidence, then she may have already succeeded merely 1.5 years into her business. One of her students, 39-year old Nicole Ding, no longer feels conscious about wearing a 2-piece swimsuit. She joined Syrena’s school a year ago to meet new people but instead found a strong support system. “The other girls also had insecurities but we would always reassure each other that we look fine the way we are. We never criticise each other because of our shape,” she says. These days, Syrena is more comfortable with her body. As someone who has gone through her fair share of self-loathing, I empathise with Syrena’s best efforts at ensuring she doesn’t backslide. But we both know that the monsters in one’s head never truly go away. We simply learn to ignore them. Even though she no longer has an eating disorder, she acknowledges that image issues remain a perpetual struggle. It appears the glossy veneer is just a fraction of who she is; Syrena the mermaid is only human. For all her musings about self-love, perhaps the most consequential lesson here is that she walks the talk. So if her unadulterated honesty about her life inspires her students to be similarly honest with themselves, to just keep swimming against darker undercurrents, perhaps mermaid magic really does exist after all.